People often say the environment nurtures people, which is the truth. No matter how big your dream is or how enthusiastic you are about it, you won’t be able to take a big step forward without the environment and facilities to provide the right support. 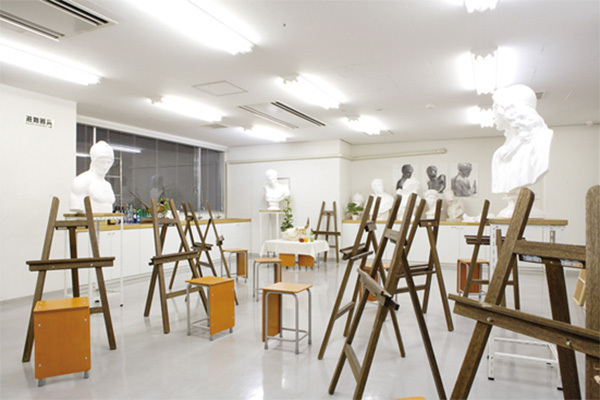 Yokohama Design College offers you a wide range of facilities in a rich learning environment to stimulate your creativity and support your personal growth. 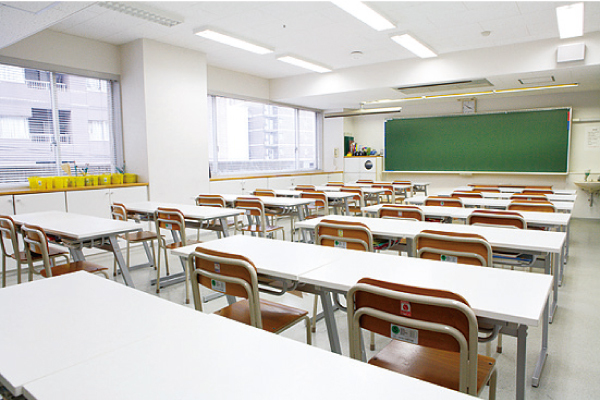 These are places where we provide regular classroom lectures and simple creative practice. In these bright and spacious classrooms, we also have workshops by rearranging desks, as well as presentations while using a projector. 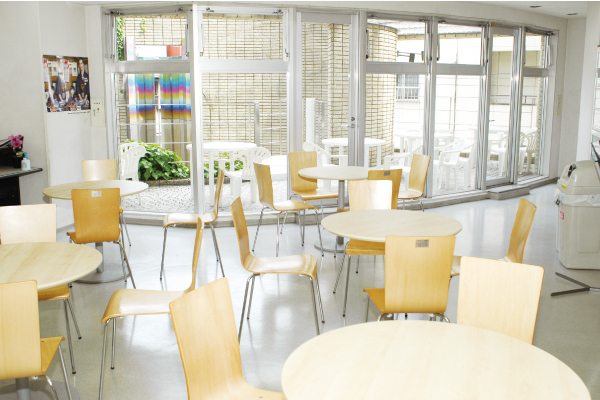 An open-air terrace and an indoor lounge are available for instructors, teachers, and students to enjoy each other's company. Students also use these places to study between classes and to enjoy lunch and conversation with friends. 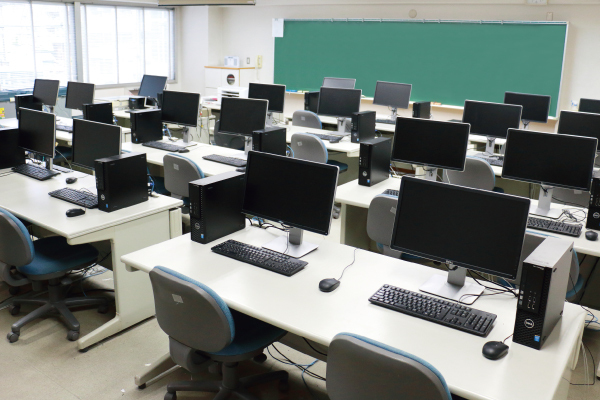 This is a digital lab with workstations, also equipped with various kinds of professional software for drawing classes with tablets and for graphic design. 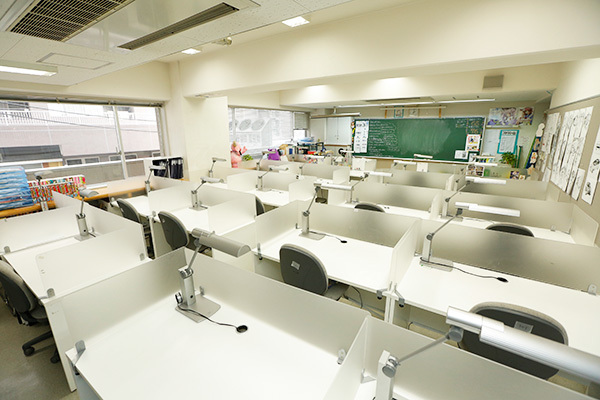 You can also use the lab for studying after classes. This studio is uniquely available at our school since we have a number of art classes. Students can take their time to sketch subjects in this white and bright room. We also provide seminars after classes for students who would like to go to art university. In this room, you can fully concentrate on your creative work at a desk with individual partitions. The room also has magazines and comic books as references, inspiring students to learn more. 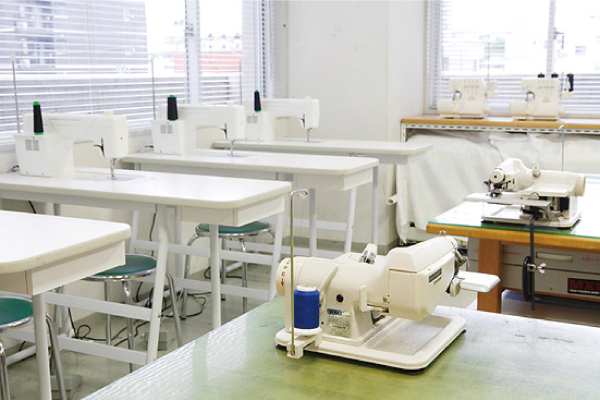 The room is equipped with industrial sewing machines, which are essential for serious training on sewing, as well as press machines and sizable work tables. There, you can work on the entire process, from designing to sewing.